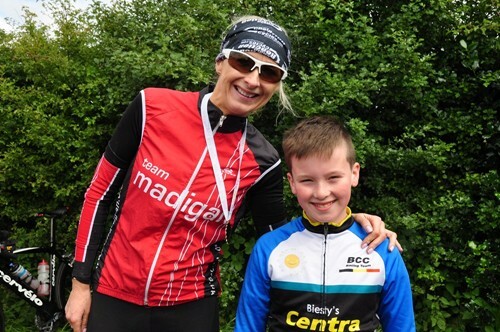 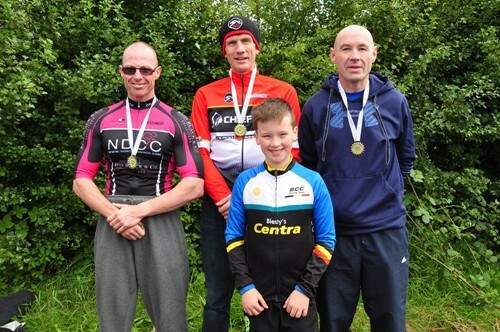 Sean McIntyre (Caldwell Cycles) was fastest on 26 riders in today’s Ulster 100 mile time trial Championships held on the Woodgreen course near Ballymena. 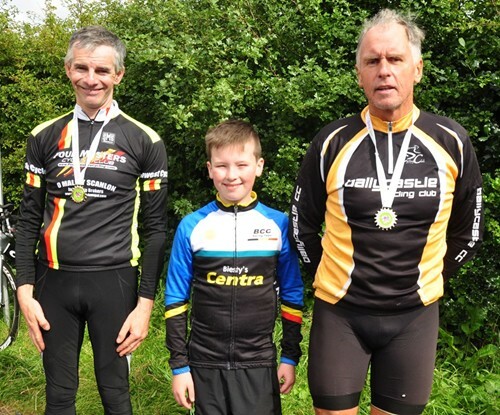 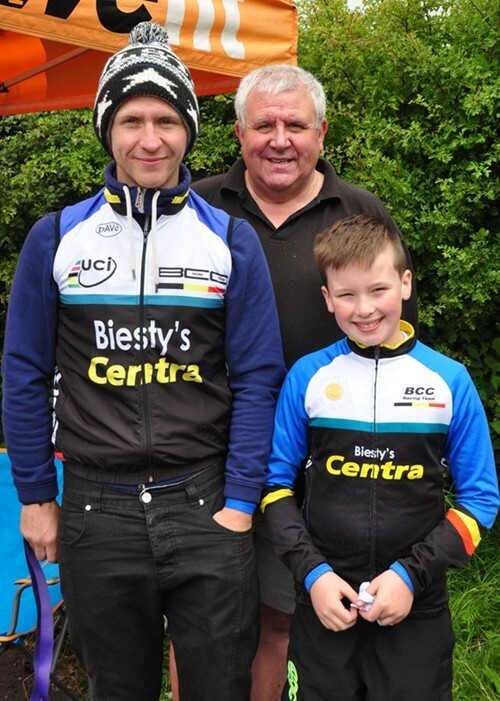 Twenty six riders started the Ballymoney Cycling Club promotions in dry but breezy conditions. 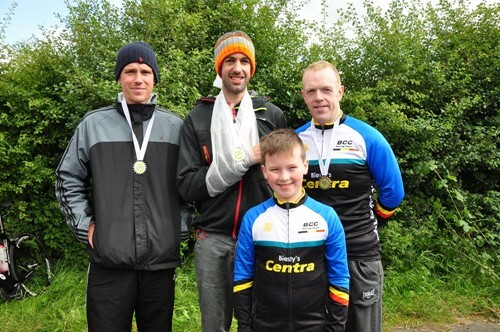 McIntyre's winning time of 3 hours 41 minutes 34 seconds was over two minutes faster than runner up Andrew Bye (Newry Wheelers), despite crashing and injuring his shoulder in the final miles of the race. 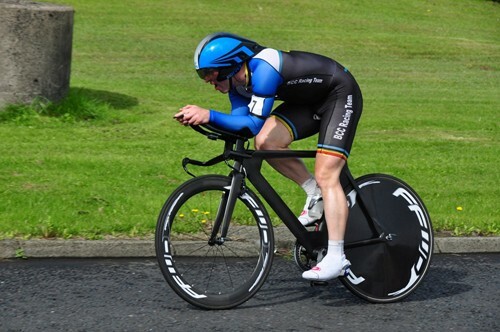 Mervvn Linton of the host club took Bronze. 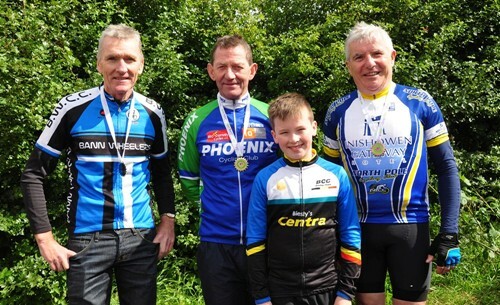 A notable prize winner was Donegal man Willie John McLaughlin (North Pole CC) who recorded a personal best to win the Male 70 category. 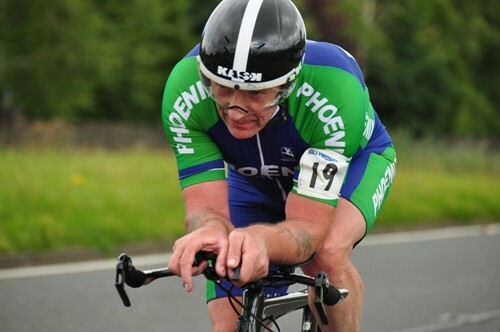 Willie has competed in all seven of the 100 mile time trials since the revival of this distance back in 2009. 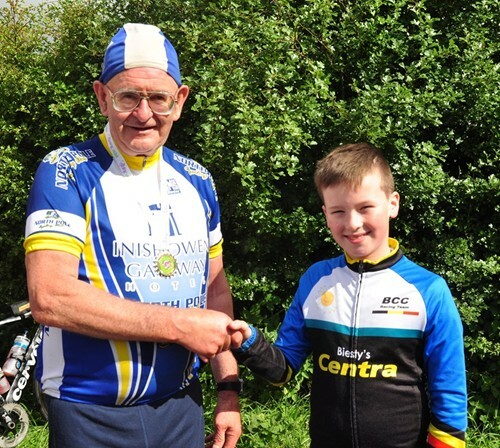 1st Sean McIntyre - Caldwell Cycles. 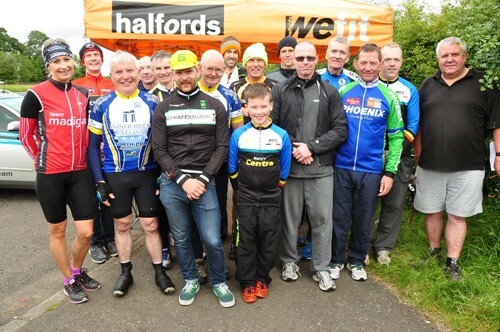 Joe Henry, Mark Millar, Mark Hanna.